On Wednesday, Sotheby's in Geneva sold a hundred lots of jewelry from the House of Bourbon-Parma, including impeccable pieces with eye-popping royal provenance. Here's a look at the ten highest-grossing lots from the sale! 10. Archduchess Maria Anna's Sapphire Cluster Brooch: This lovely brooch features a 30-carat Ceylon sapphire surrounded by twelve brilliants, in a classic design that echoes the famous Albert Brooch from the British royal collection. This brooch is newer, made around 1900 and given by Princess Isabella of Croy to Archduchess Maria Anna of Austria when she married Prince Elias, Duke of Parma in 1903. 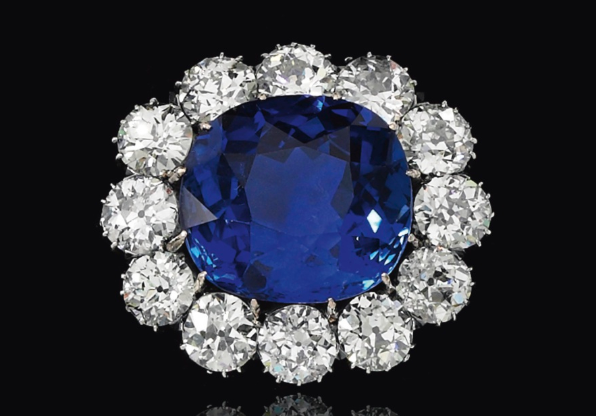 The brooch sold for $551,010. 9. 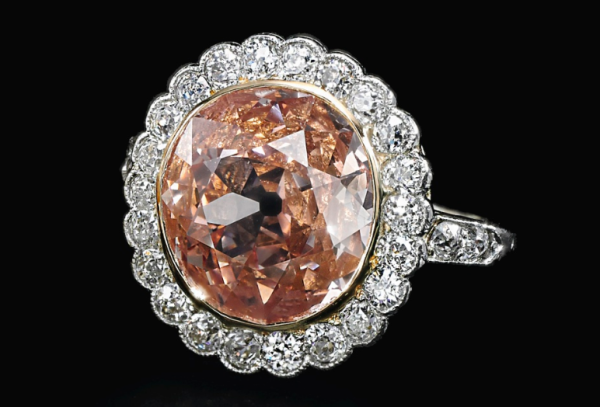 Archduchess Maria Anna's Fancy Orangy Pink Diamond Ring: This classic cluster ring features an unusual 2.44-carat fancy orangy pink diamond framed by additional colorless diamonds. The ring was given to Archduchess Maria Anna of Austria (wife of Prince Elias, Duke of Parma) by her father, Archduke Friedrich, Duke of Teschen in 1909. The gift was a celebration of the birth of Maria Anna's second son, Prince Robert. The ring sold for $574,837. 8. 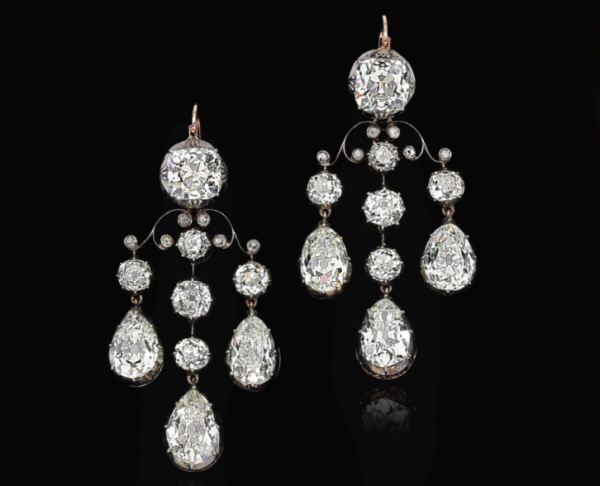 Princess Maria Teresa's Diamond Girandole Earrings: This spectacular pair of diamond pendant earrings were made in the first half of the nineteenth-century. They originally belonged to Princess Maria Teresa of Savoy, the wife of Charles II, Duke of Parma, and were later inherited by her grandson, Robert I, Duke of Parma. The earrings sold for $729,715. 7. 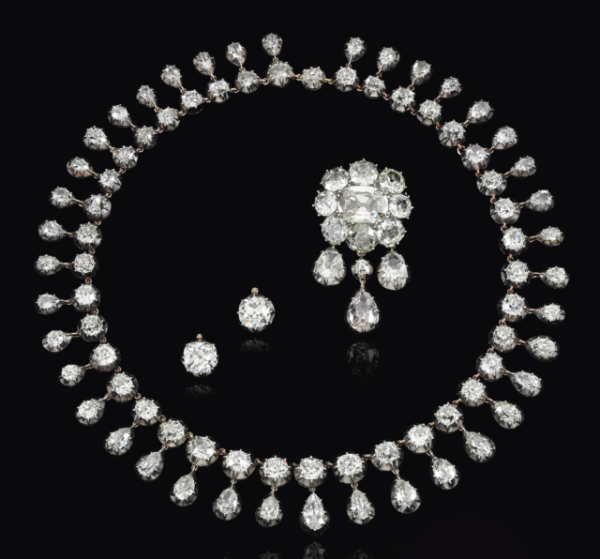 The Bourbon-Parma Diamond Demi-Parure: This incredible diamond demi-parure consists of a necklace, a pair of earrings, and a brooch. The suite contains diamonds owned by several members of the Bourbon-Parma family, including Charles Ferdinand, Duke of Berry (son of King Charles X of France), the Duchess of Angouleme (daughter of Queen Marie Antoinette), and Princess Isabella of Croy (mother of Archduchess Maria Anna, Duchess of Parma). The demi-parure sold for $848,853. 6. 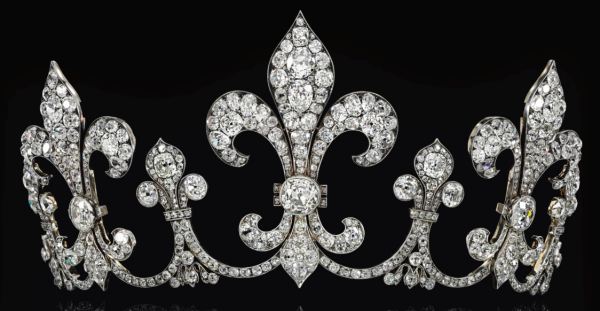 Archduchess Maria Anna's Fleur-de-Lis Tiara: We featured this bold fleur-de-lis tiara recently here at The Court Jeweller. It was made in 1912 for Archduchess Maria Anna (wife of Prince Elias, Duke of Parma) by an Austrian jeweler, Hübner. The tiara sold for $967,990. 5. The Duke of Angouleme's Order of the Saint-Esprit: This diamond, emerald, and ruby badge of the French Order of the Saint-Esprit was made around 1820 for the Duke of Angouleme (son of King Charles X of France). The badge sold for $1,623,244. 4. 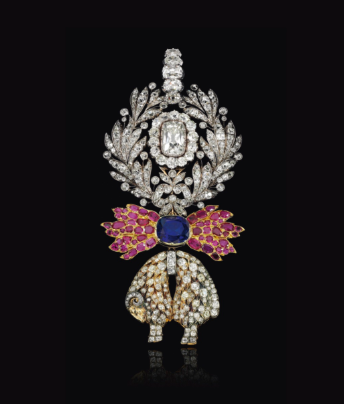 The Duke of Angouleme's Order of the Golden Fleece: This elaborate diamond, sapphire, and ruby ornament is the neck badge of the Order of the Golden Fleece. The badge was made around 1820. It sold for $1,682,813. 3. 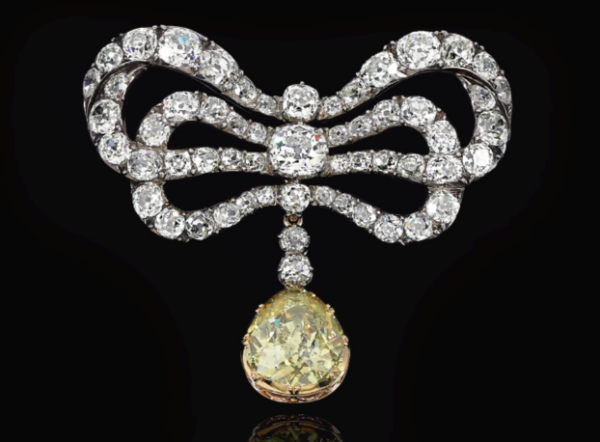 Marie Antoinette's Diamond Bow Brooch: This 18th century diamond bow brooch features a large pear-shaped yellow diamond pendant. The bow brooch belonged to Queen Marie Antoinette of France; the yellow diamond was a later addition. The brooch sold for $2,099,793. 2. 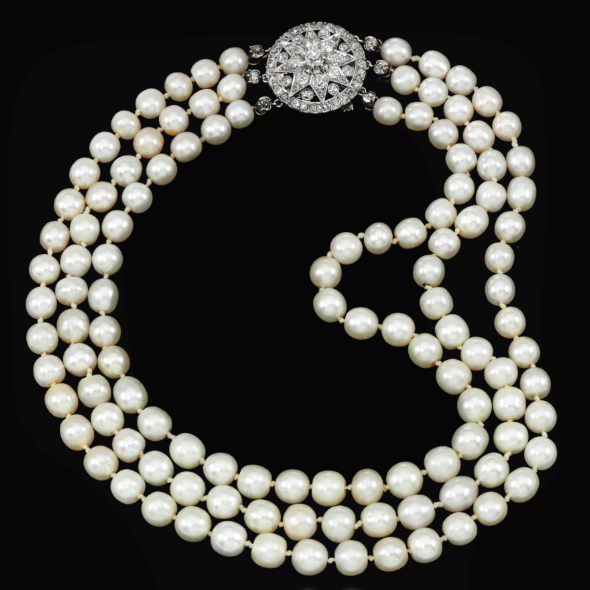 Queen Marie Antoinette's Pearls: This three-stranded pearl necklace is strung with pearls that belonged to Marie Antoinette. 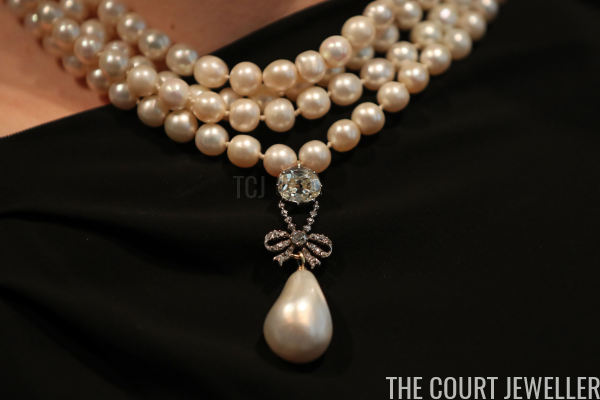 (We featured her pearl parure here.) The necklace sold for $2,278,499. 1. 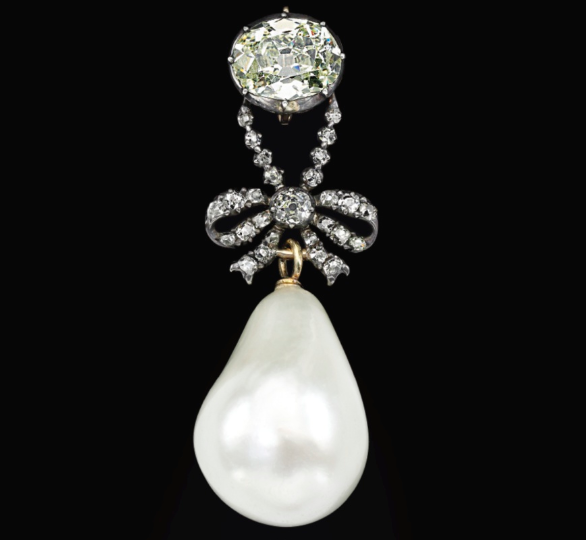 Marie Antoinette's Diamond and Pearl Pendant: This astonishing diamond and pearl pendant was a part of Marie Antoinette's collection (in a different form -- see more here). This was the absolute whopper of the sale. The top range of its pre-sale estimate was just under two million dollars. 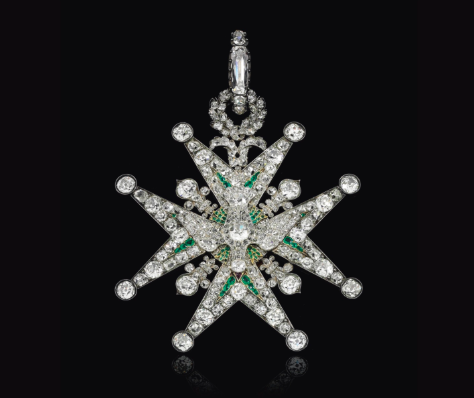 When the hammer fell on Wednesday, this pendant sold for a breathtaking $36,165,090.